Bark created a “story-book” of ideas for a proposed new housing typology of 70+ small lot affordable houses. S8 Beach Housing is a master planned residential community consisting primarily of low and medium density housing located at Cocoanut Point on the Capricorn Coast. For this presentation we defined seven house types, clearly explaining our design approach in the consideration of such factors as climatic orientation, indoor and outdoor private living spaces, construction materials, the potential for modular or prefabricated construction, colour scheming, roof forms and the ability to use each standard design in different ways on different sites. 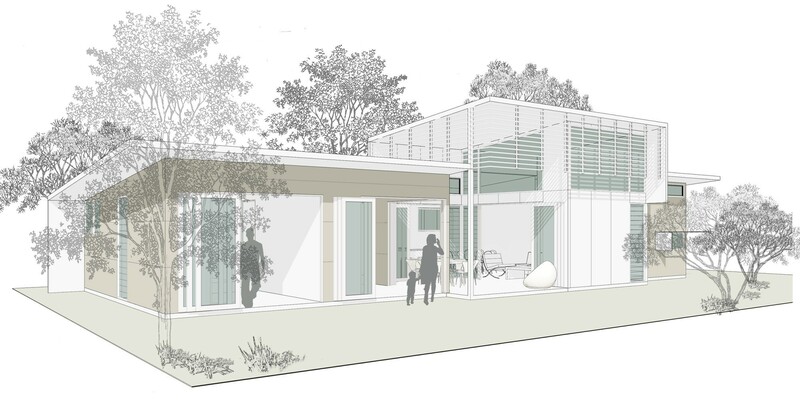 The S8 Beach Housing series have been sited on allotments so that many existing trees can be retained, most of which provide adequate screening and shading. 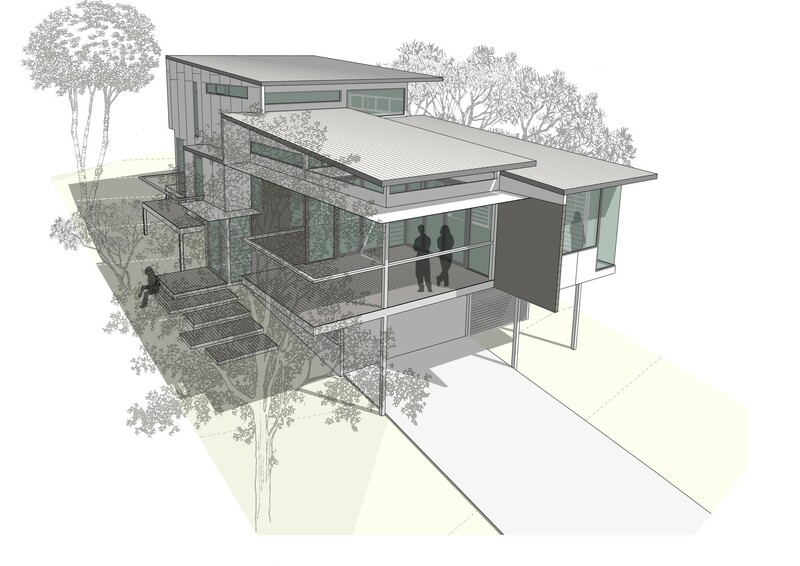 The smaller footprint of the houses ensure minimal disturbance to the existing landscape whilst the sloping topography allow for the proposed dwellings to ‘float’; the only impact to the ground being the proposed carport structures. Each of the seven house designs featured boast generous open spaces, indoor and outdoor living, double height volumes and clean contemporary materials. Each dwelling is carefully sited around a north-east open space and existing vegetation ensuring a strong coexistence between the natural landscape and the indoors. This forges a strong coexistence between the natural landscape and internal spaces. This project sees beach houses that are inextricably tied to their sites, that feel comfortable in the climate, that enjoy northern aspects and carefully framed views plus natural light and cooling breezes.